Don’t leave your baggage unattended. Beware of scams. There is safety in groups. How many travel tips do you get that are actually useful? Can you think of any that actually prepare you to face the unknown? There are important things you need and must know to ensure your safety when you travel — be it abroad or while road-tripping your home country. Some of them are often overlooked and most go beyond common sense. Below are just 5 travel safety tips everybody should know but are not told. Be sure to download our free eGuide for the complete set of tips, tricks, and resources you need to stay safe during your adventures. Even before you enter your plane or your car, you should have everything figured out. International travelers should have their required and recommended vaccinations up to date. Everyone should assess their physical fitness to travel. 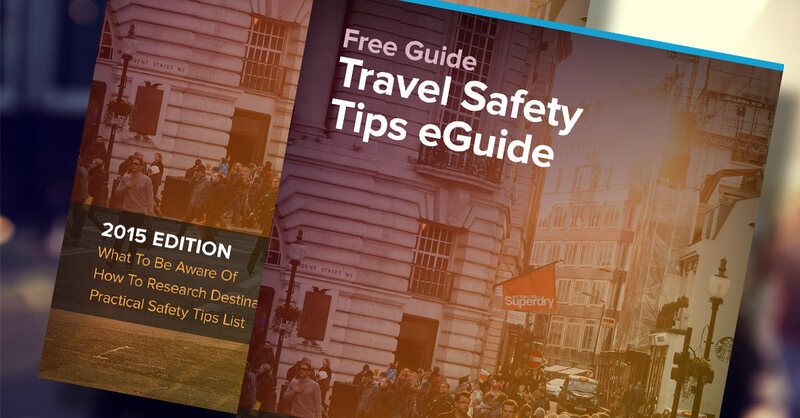 This eGuide features some common travel illness symptoms to look out for. It also details the steps you should take to best prepare for a trip abroad. Before being citizens of the world, we all have a nationality. Every country dedicates resources toward assisting their travelers around the world. This includes emergency support, repatriation, contact between a traveler and his family at home, and much more. This eGuide will show you where to find assistance and how to make best use of it. Traveling with expired or missing travel documents will put you at serious risk. Grab our Travel Document eBook to learn the basics about passports, visas, and vaccination cards and why you should always have them on you when you travel. The eGuide below will teach you simple ways to keep your travel document safe while you travel, from making copies to renewing them. 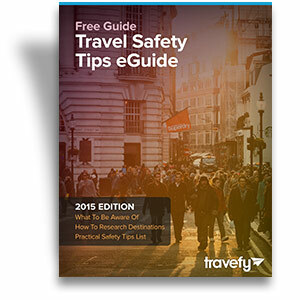 What does the knowledge of local culture have to do with your own travel safety? Probably more than you think and others let you know. Dress codes and specific rules of conduct are examples of things local often value but that foreigners will not find written in a book. Even if you are not interested in traveling like a local, you must be mindful of local culture as to not offend the natives of places you visit. No one knows it all and one source of information is not enough to prepare you to face adversity when you travel. A smart traveler is an informed traveler, one that can find the information and help needed in a timely manner. From the CDC to the Department of State to the best online resources, we’ve put together a list of the most important resources you should have under your belt. What to know, how to research, practical tips, and more.